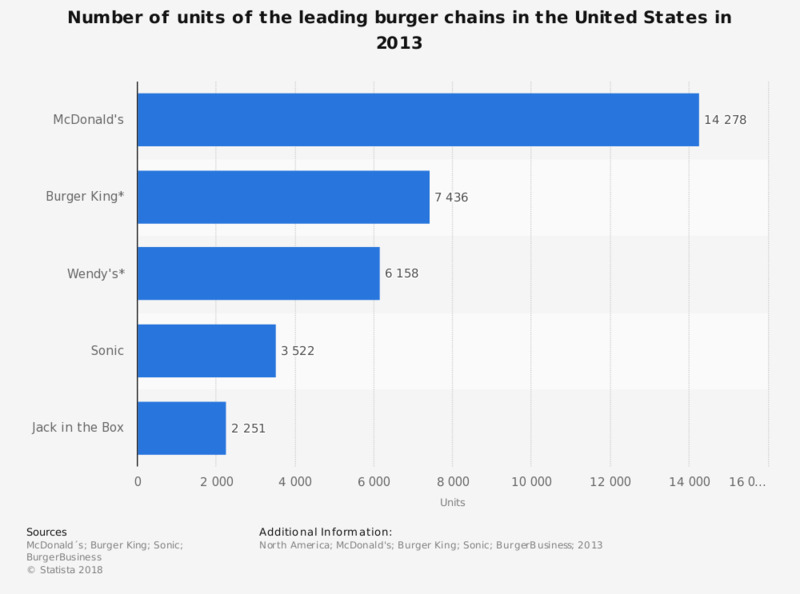 This statistic shows the number of units of the leading burger chains in the United States in 2013. McDonald's had the largest number of units in the U.S. with 14,278 restaurants. Burger King had 7,436 units in the U.S. and Canada.